1استادیار، گروه بهداشت عمومی، دانشکده بهداشت و تغذیه، دانشگاه علوم پزشکی بوشهر، بوشهر، ایران. 2دانشجوی کارشناسی ارشد آموزش بهداشت، کمیته تحقیقات دانشجویی، دانشگاه علوم پزشکی بوشهر، بوشهر، ایران. 3دانشجوی کارشناسی بهداشت عمومی، کمیته تحقیقات دانشجویی، دانشگاه علوم پزشکی بوشهر، بوشهر، ایران. مقدمه: زایمان طبیعی یکی از رویدادهای مهم زندگی زنان می‌باشد. از فواید آن در مقایسه با سزارین حفظ سلامت جسمانی مادر، عوارض کمتر و ارتباط عاطفی مطلوب‌تر بین مادر و نوزاد می‌باشد. هدف از این مطالعه تعیین شیوع زایمان طبیعی و عوامل مؤثر بر انتخاب آن در زنان باردار مراجعه‌کننده به مراکز بهداشتی درمانی شهر بوشهر بود. مواد و روش‌ها: این مطالعه مقطعی و از نوع توصیفی است که در سال 1394 انجام شد. جامعه پژوهش زنان باردار مراجعه‌کننده به مراکز بهداشتی درمانی شهر بوشهر بودند. نمونه‌گیری طی 6 ماه به صورت طبقه‌بندی تصادفی از مراکز بهداشتی انجام شد. جمع‌آوری داده‌ها با استفاده از پرسشنامه محقق ساخته انجام شد. جهت تجزیه و تحلیل داده‌ها از آمار توصیفی (میانگین، درصد، فراوانی)، آزمون‌های مجذور کای، تی مستقل و رگرسیون لجیستیک استفاده شد. یافته‌ها: 486 زن باردار در مطالعه شرکت کردند که میانگین سنی آنان 01/5 ±82/26 بود. زایمان طبیعی و سزارین به ترتیب توسط 220 (3/45%) و200 نفر (1/41%) از زنان انتخاب شد. همچنین 66 نفر (6/13%) هنوز تصمیم نگرفته بودند. بیشترین فراوانی دلایل انتخاب سزارین، ترس از درد زایمان (77 نفر، 6/38%) و بیشترین فراوانی دلایل انتخاب زایمان طبیعی، عوارض کمتر(114 نفر، 52%) بود. شغل همسر (01/0p=، 51/0OR=)، تحصیلات همسر (001/0p=، 19/0OR=)، سابقه سزارین (001/0>p، 5/36OR=)، محل مراقبت بارداری (001/0>p، 40/0OR=)، آگاهی (005/0p=، 30/1OR=) و نگرش نسبت به روش‌های زایمانی (001/0>p، 26/1OR=) از عوامل تأثیرگذار بر انتخاب زایمان طبیعی شناخته شدند. نتیجه‌گیری: برنامه‌ریزی جهت آموزش فواید زایمان طبیعی و اصلاح نگرش زنان و همچنین نظارت بر انجام سزارین‌ها بر اساس اندیکاسیون پزشکی می‌تواند در کاهش سزارین‌های غیرضروری و ترویج زایمان طبیعی مؤثر باشد. 1Assistant Prof, Dept of Public Health, School of Health and Nutrition, Bushehr University of Medical Sciences, Bushehr, Iran. 2MSc student in Health Education, Student Research Committee, Bushehr University of Medical Sciences, Bushehr, Iran. 3BSc Student in Public Health, Student Research Committee, Bushehr University of Medical Sciences, Bushehr, Iran. Introduction: Normal vaginal delivery (NVD) is one of important events in women's life. Compared to cesarean section, it seems that NVD is a safer option associated with lower maternal and neonatal morbidities and also a more favorable emotional relationship between mother and her new born baby. The aim of this study was to determine the prevalence of and to find out the effective factors for choosing normal vaginal delivery among pregnant women in Bushehr city. Material and Methods: In this cross-sectional and descriptive study, among all pregnant women refereed to the health centers in Bushehr City, 486 pregnant women were included based on strati­fied random sampling method. Data were collected using a pre-designed questionnaire during 6 months. Descriptive statistics, independent sample t-test, Chi-square test and Logistic Regression were used for analysis of the data. Results: The mean age of the participants was 26.8± 5.01 years. The options of NVD and C/S were chosen by 220 (45.3%) and 200 (41%) of women respectively and 66 of women were undecided (13.4%). “Fear of labor pain” and “lower complications rate” were the most common reasons for choosing C/S and NVD, 77 (38.6%), and 114(52%) respectively. The NVD had a significant association with some factors including; husband's job (OR=0.51, p=0.01), husband's education (OR=0.19, p=0.001), previous C/S (OR=36.5, p<0.001), place of prenatal care (OR=0.40, p<0.001), knowledge (OR=1.3, p=0.005) and attitude (OR=1.26, p<0.001) towards delivery methods. Conclusion: Based on the findings of this study, a regular educational program for pregnant women and also having a meticulous attitude towards the medical indications of C/S may reduce the rate of dispensable C/S and promote of the NVD. 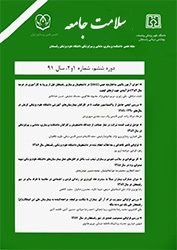 Zakerihamidi M, Roudsari RL, Khoei EM, Kazemnejad A. Decision-making for vaginal delivery in the North of Iran: A focused ethnography. IJNMR 2014;19(7 Suppl1):S37-44. Betrán AP, Ye J, Moller A-B, Zhang J, Gülmezoglu AM, Torloni MR. The increasing trend in caesarean section rates: global, regional and national estimates: 1990-2014. PloS one 2016;11(2):e0148343. Azami-Aghdash S, Ghojazadeh M, Dehdilani N, Mohammadi M. Prevalence and causes of cesarean section in Iran: systematic review and meta-analysis. IJPH 2014;43(5):545-55. Cunninghum FG, Leveno KJ, Bloom SL. Williams' Obstetrics. 24 ed. New York: Mc Graw-Hill;2014: 588-9. Lumbiganon P, Laopaiboon M, Gülmezoglu AM, Souza JP, Taneepanichskul S, Ruyan P, et al. Method of delivery and pregnancy outcomes in Asia: the WHO global survey on maternal and perinatal health 2007–08. The Lancet 2010;375(9713):490-9. Villar J, Carroli G, Zavaleta N, Donner A, Wojdyla D, Faundes A, et al. Maternal and neonatal individual risks and benefits associated with caesarean delivery: multicentre prospective study. Bmj 2007;335(7628):1025-36. Souza JP, Gülmezoglu A, Lumbiganon P, Laopaiboon M, Carroli G, Fawole B, et al. Caesarean section without medical indications is associated with an increased risk of adverse short-term maternal outcomes: the 2004-2008 WHO Global Survey on Maternal and Perinatal Health. BMC medicine 2010;8(1):71-83. Yilmaz SD, Bal MD, Beji NK, Uludag S. Women’s preferences of method of delivery and influencing factors. IRCMJ 2013;15(8):683-89. Kasai KE, Nomura RM, Benute GR, de Lucia MC, Zugaib M. Women's opinions about mode of birth in Brazil: a qualitative study in a public teaching hospital. Midwifery 2010;26(3):319-26. McGrath P, Phillips E, Vaughan G. Vaginal birth after Caesarean risk decision‐making: australian findings on the mothers' perspective. IJNP 2010;16(3):274-81. Aali B, Motamedi B. Women's knowledge and attitude towards modes of delivery in Kerman, Islamic Republic of Iran. EMHJ 2005 ;11(4):663-7. Ghotbi F, Akbari Sene A, Azargashb E, Shiva F, Mohtadi M, Zadehmodares S, et al. Women's knowledge and attitude towards mode of delivery and frequency of cesarean section on mother's request in six public and private hospitals in Tehran, Iran, 2012. JOGR 2014;40(5):1257-66. Ghaffari M, Afshari A. Application of health belief model forpredicting delivery method among pregnant women of Semirom: a cross-sectional research. World Appl Sci J 2013;22:494-9. Chong E, Mongelli M. Attitudes of Singapore women toward cesarean and vaginal deliveries. IJGO 2003;80(2):189-94. Ji H, Jiang H, Yang L, Qian X, Tang S. Factors contributing to the rapid rise of caesarean section: a prospective study of primiparous Chinese women in Shanghai. BMJ open 2015;5(11):e008994. Bagheri A, Alavi NM, Abbaszadeh F. Iranian obstetricians’ views about the factors that influence pregnant women's choice of delivery method: A qualitative study. Women and Birth 2013;26(1):e45-e9. Akbari S, Ahmadi S. Analyzing the effective factors of choosing the delivery method of the primiparous pregnant women attending to Khorramabad's Asalian hospital IN 2014. IJFAS Sciences 2014;4(3): 656-63. Loke AY, Davies L, Li S-f. Factors influencing the decision that women make on their mode of delivery: the Health Belief Model. BMC health services research 2015;15(1):274-86. Zarei E, Majidi S, Bay V. Achievement of health sector evolution objectives in the vaginal delivery promotion plan: A study in a large public hospital in Tehran. JHF 2017;3(2): 27-33. Rozen G, Ugoni AM, Sheehan PM. A new perspective on VBAC: a retrospective cohort study. Women and Birth 2011;24(1):3-9. Kamil A, Perveen K, Al-Tannir MA. Factors associated with cesarean deliveries at Women Specialized Hospital Riyadh, King Fahd Medical City, Kingdom of Saudi Arabia. The Journal Of The Egyptian Public Health Association 2011;86(3 and 4):73-6. Karlström A, Engström-Olofsson R, Nystedt A, Thomas J, Hildingsson I. Swedish caregivers’ attitudes towards caesarean section on maternal request. Women and Birth 2009;22(2):57-63. Weaver JJ, Statham H, Richards M. Are there “unnecessary” cesarean sections? Perceptions of women and obstetricians about cesarean sections for nonclinical indications. Birth 2007;34(1):32-41. Latham SR, Norwitz ER, editors. Ethics and “cesarean delivery on maternal demand”. Seminars in perinatology 2009; 33( 6): 405 - 409..
Soltani H, Sandall J. Organisation of maternity care and choices of mode of birth: a worldwide view. Midwifery 2012;28(2):146-9. Maharlouei N, Rezaianzadeh A, Hesami E, Moradi F, Mazloomi E, Joulaei H, et al. The preference of Iranian women to have normal vaginal or cesarean deliveries. Journal of research in medical sciences: the official journal of Isfahan University of Medical Sciences 2013;18(11):943-50.